Here’s what the couple’s rule can teach us about setting limits in our own homes. The average American touches their phone about 2,617 times per day — and studies show we spend up to 50 percent of the day on our devices alone. Research tells us that excessive use of technology can take a toll on our mental well-being, and as a result, many of us are increasingly aware of the need to better regulate our relationship — and our children’s relationship — with devices. 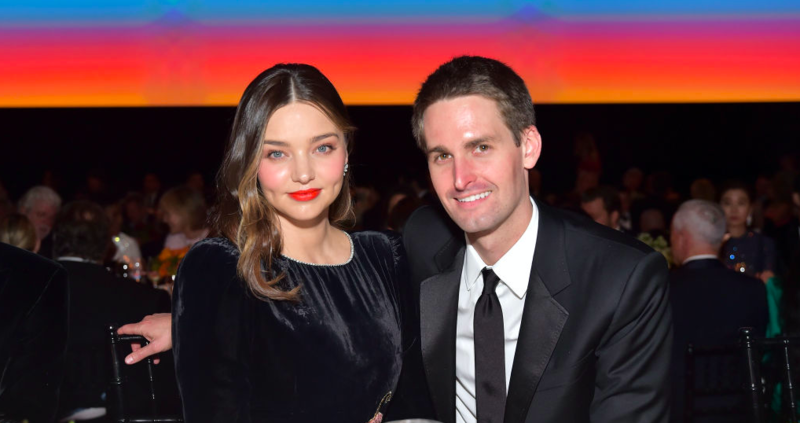 In a new interview, tech entrepreneur Evan Spiegel reveals that he and his wife, Miranda Kerr, set their children’s limit at 90 minutes per week. One tactic Drouin recommends is trying a thirty minute swap with your kids. “For every 30 minutes of video games they play, they then play outside for 30 minutes, or go and read for 30 minutes,” she suggests. Instead of telling your kids to completely put away phones, suggest other activities that spark imagination and creativity. “It encourages them to engage in healthy lifestyle habits, like getting more exercise, or using their creativity to make something from a scratch,” she says.